The name of this organization shall be the North Carolina School Library Media Association. The purpose of the North Carolina School Library Media Association is to provide professional and educational connections, opportunities, and support for North Carolina school library media personnel. The organization shall not participate in or intervene in any political campaign on behalf of any candidate for public office or political party. Membership shall be for one year which is from August 1 through July 31 of the following year. Membership Eligibility – Membership shall be open to any person working or retired in education or related education field who is interested in promoting the development and growth of school library media programs in this state. Active Membership shall be open to any person currently working in education or related education field. Lifetime Membership shall be open to any person who is retired from education or related education field or has received the Frances Bradburn Distinguished Service Award. Members in this category will pay a one-time fee to be determined by the Executive Board. Student Membership – Students actively pursuing a Master’s degree in Library Science or Library & Information Science and enrolled in an accredited program will be allowed to join as a student member for two years. Students in pursuit of certification and not the full degree do not qualify for this membership. Annual Dues shall be determined by the Executive Board. Officers comprise the Executive Committee which is empowered to act on administrative business of the Association in the intervals between regular meetings. A quorum shall consist of 2/3’s of the members of the Executive Committee. The Executive Board shall consist of the Association’s officers, treasurer, and section chairs. The Executive Board shall have general supervision of the affairs of the Association and shall have the power to act on administrative business of the Association. A quorum shall consist of a majority of the Executive Board. The Executive Board shall have the authority to plan the schedule of meetings for the Association. In that schedule, at least one statewide conference is to be held each year..
An annual business meeting of the Association must be held during the statewide conference. Additional business meetings of the membership may be called by the Executive Board or by a petition signed by ten (10) percent of the active members of the Association. For any business meetings the membership must be notified not less than fifteen (15) days in advance of the meeting. An agenda is to accompany the notification of any business meeting; only those items on the agenda may be acted upon; however, items from the floor may be discussed and action taken at a future business meeting. A quorum of the membership shall be at least twenty (20) percent of the membership OR 100 members of the Association, whichever is less. The Past President shall prepare a ballot with the slate of officers to be elected. The ballot will also include provisions for a write-in nomination for each office. The Nominating Committee shall certify the eligibility for office of all nominees appearing on the ballot. Biographies shall be published for all candidates prior to voting by the members. Ballots shall be e-mailed or made available online to current members during the election year. Winners will be determined by a plurality of votes. The results shall be announced immediately upon completion of the election process. The results shall be published on the NCSLMA website and e-mailed to the members. Elected officers shall be installed in October following their election and will assume office at that time. one one-year term as Past President. The Secretary shall be elected for one two-year term. Directors shall be elected for one two-year term. Half of the directors will be up for election every year. If the office of the President becomes vacant, the Past President shall succeed for the remainder of the unexpired term. Should any other vacancy occur on the Executive Board, it shall be filled by the majority vote of the remainder of the Executive Board. The duty of the President shall be to preside at all business meetings, Executive Board meetings, and Executive Committee meetings of the Association, and to perform all other duties usually associated with this office. The duty of the Past President shall be to serve as the chairperson of the nominating committee. to perform the duties of the President in the absence or incapacity of the President. serve as the Conference Planning Committee Chairperson for the annual conference of the Association at which this person is to assume the office of President. The duty of the Secretary shall be to keep a record of activities, and such other duties as the office may require. to create and coordinate regional activities that promote professional development, membership growth, and opportunities for professional networking. to fulfill these duties, each Regional Director shall organize and chair a committee that includes representation from across the region. Regional committees may assist the Directors in fulfilling their duties through face-to-face meetings, virtual meetings, or other collaborative processes. prepare a detailed conference report of all income and expenditures. perform such other duties as are usually associated with this office. be bonded, with bond fees paid by the Association. An audit will be performed by a certified public accountant at the end of the Treasurer’s term. The powers and duties of each Section Chair shall be determined by the Executive Board and defined in written form. A copy of the powers and duties of a section chair shall be given to the chair of each section at the beginning of his/her chairmanship. Each section chair shall be appointed for two years by the President. Section chairs serve as voting members of the Executive Board. 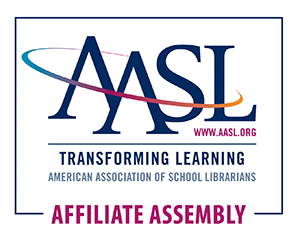 The role of each section chair shall be to oversee one or more special committees or liaisons and to assist the Executive Committee in providing professional and educational connections, opportunities, and support for North Carolina School library media personnel. Section chairs will serve as a communications channel between the NCSLMA Executive Board and the special committees or liaisons they oversee. Committee Chairs shall be appointed for two years by the president. Special committee chairs shall be provided with a written copy of the powers and duties of their committee. All committee chairs shall be members of the organization. Committee chairs will not have voting privileges. Other Committees - The President shall recommend to the Executive Board the formation of other committees as needed. The Executive Board shall approve the establishment, responsibilities and duration of other committees. Liaisons - Non-voting liaisons to other organizations or groups shall be appointed as needed by the President to the Board. Liaisons may include representatives from the Department of Public Instruction, universities and colleges, independent schools, the State Library, etc. The Roberts Rules of Order, latest revision, shall be the governing authority in any matter not specifically covered by these by-laws. These Bylaws may be amended at any business meeting by a majority vote of the members if a quorum exists. All proposed changes will be distributed to the members attending the meeting and prior to voting. These Bylaws may be amended by a vote, providing such changes have been published thirty (30) days prior to such voting. No part of the net earnings of NCSLMA shall be used to benefit or be distributed to its members, trustees, officers, or other private persons. The organization shall be authorized and empowered to pay reasonable compensation for services rendered and expenses incurred and to make payments and distributions to further the purposes of the organization. No portion of the net earnings of NCSLMA shall be used on behalf of any candidate for public office or political party. Upon the organization’s dissolution the organization shall distribute any assets, after payment of all liabilities, to one or more similar non-profit organizations.